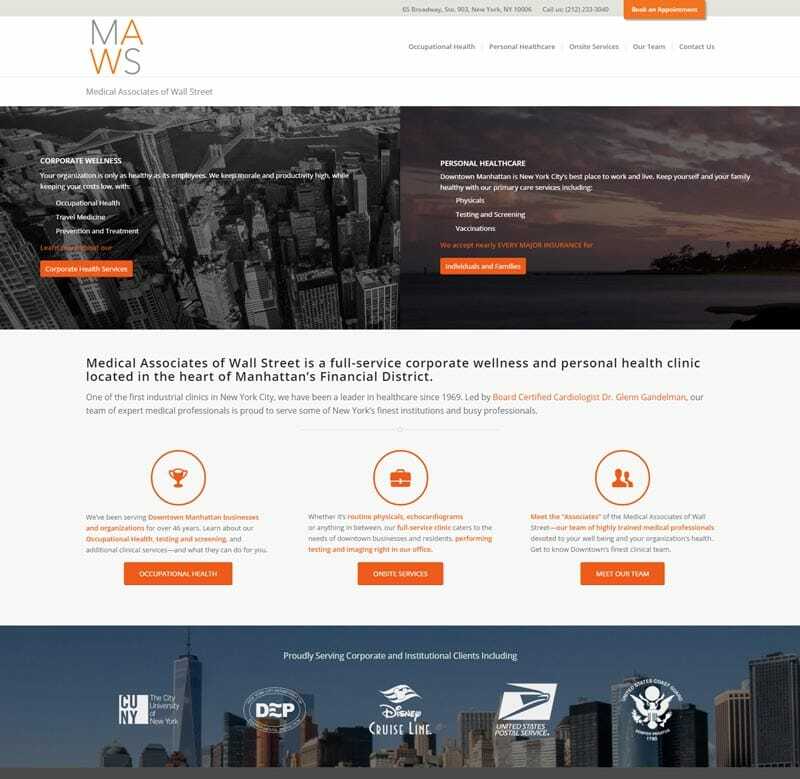 Medical Associates of Wall Street is a well-established provider of corporate wellness and preventative treatment in the Manhattan’s downtown district. With the changing landscape of the area moving towards a residential neighborhood, along with a new wave of businesses, the medical practice needed a presence that would reach all of their target demographics. 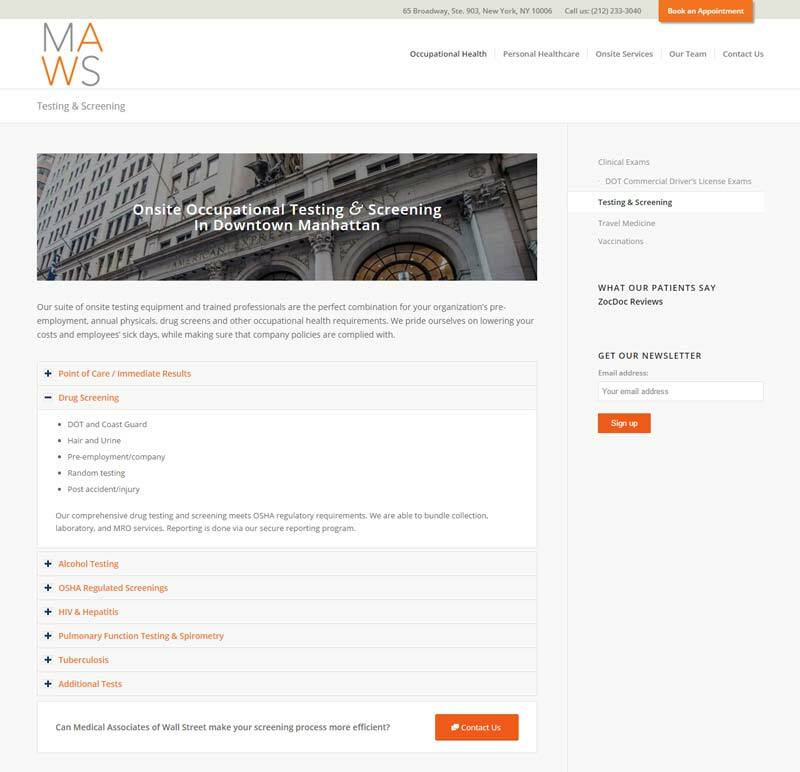 Speed of Like worked with MAWS to create a new website with a quickly-navigable structure that would appeal to both of their target markets. We also conducted a photo shoot of the office and medical staff to give the professional office a personal touch. 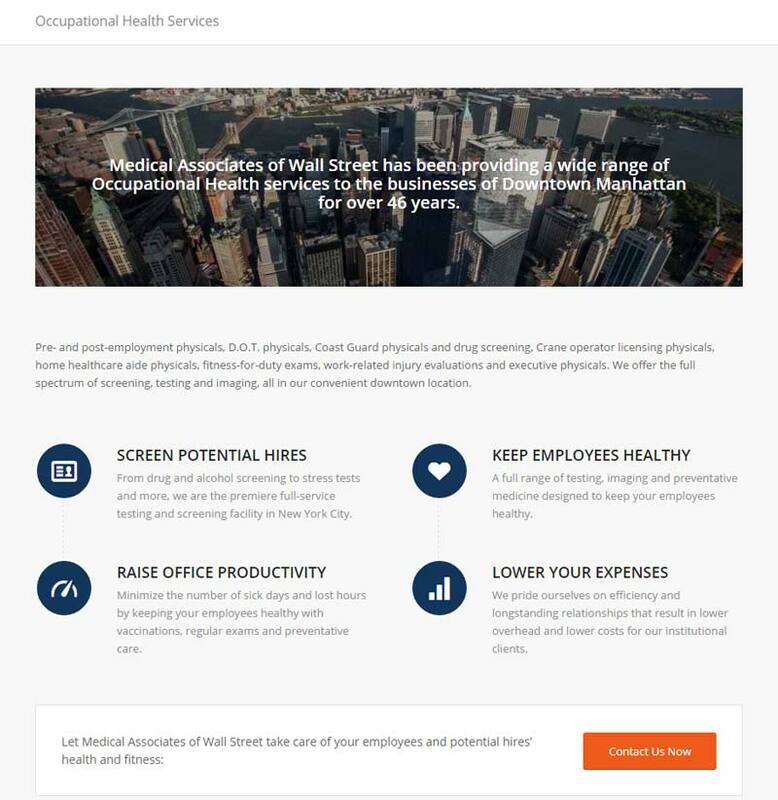 A custom template was created for Medical Associates of Wall Street, highlighting their corporate health and wellness, as well as their quick, convenient services for the community. Text on every page of the site was tailored to the needs and interests of their target audiences. 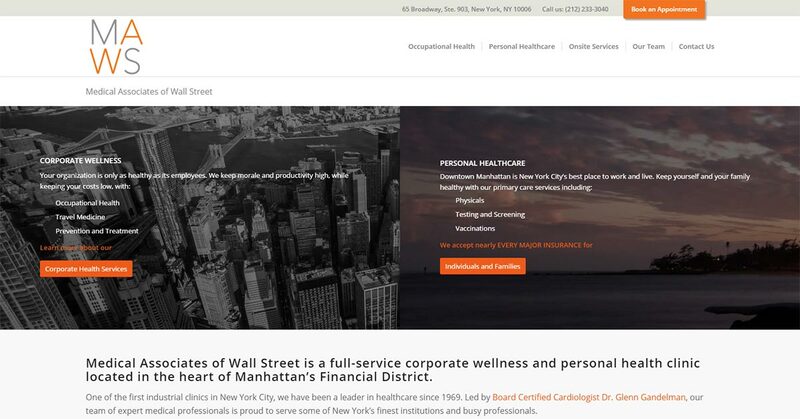 Medical Associates has been serving New York’s Financial District and its many prominent businesses for over 45 years. 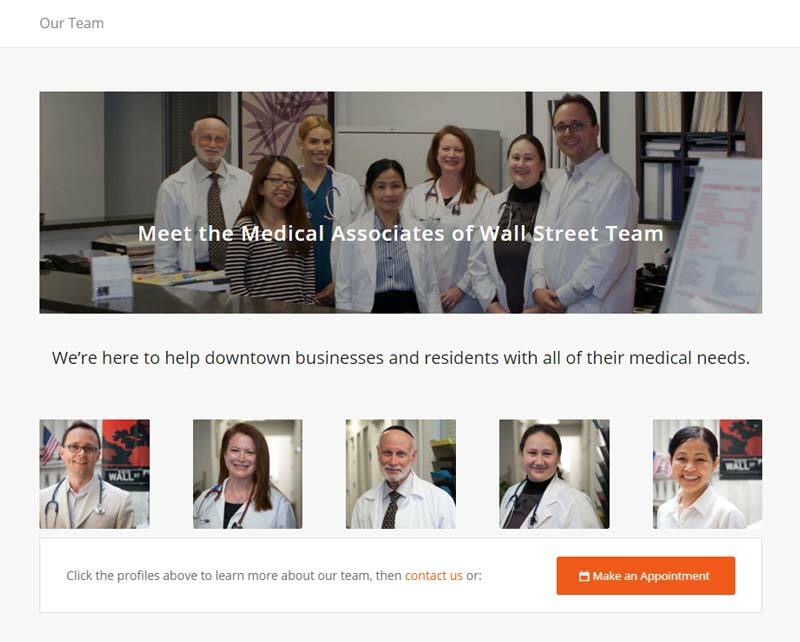 Speed of Like conducted a photo shoot of the Wall Street area, the medical office, and the employees, with the website design in mind. Images were optimized for visual appeal as well as sizes and aspect ratios. 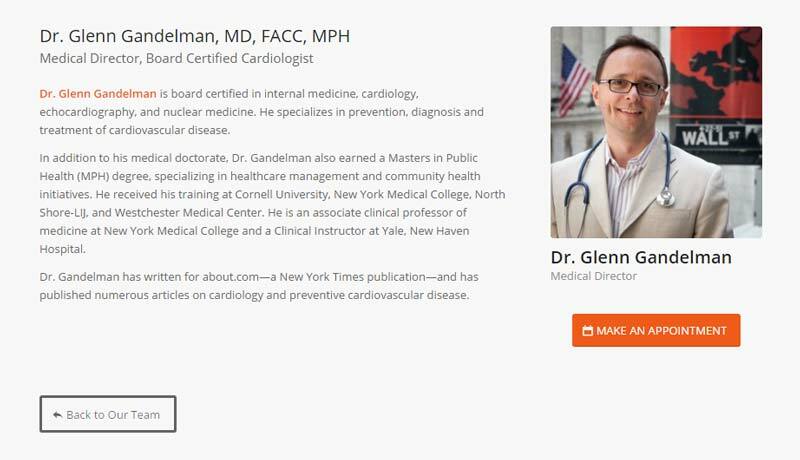 A contact page with all methods of contacting Medical Associates of Wall Street staff clearly laid out. Calls to action were placed throughout the site to encourage prospective patients to make an appointment. 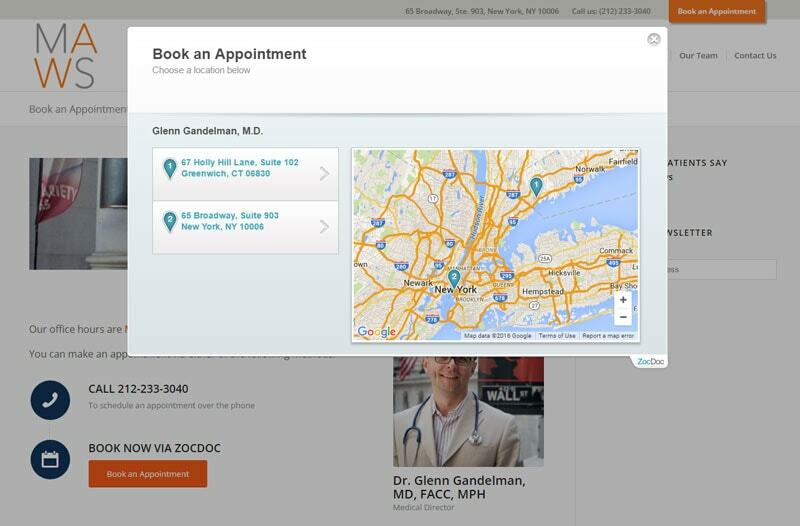 ZocDoc was integrated with a modal (lightbox pop-up) function, keeping patients on the site while tying directly into the practice’s reservations system. “From proposal to final execution, Speed of Like took responsibility for creating every aspect of out new site, including the design, photography, copywriting, research and SEO. 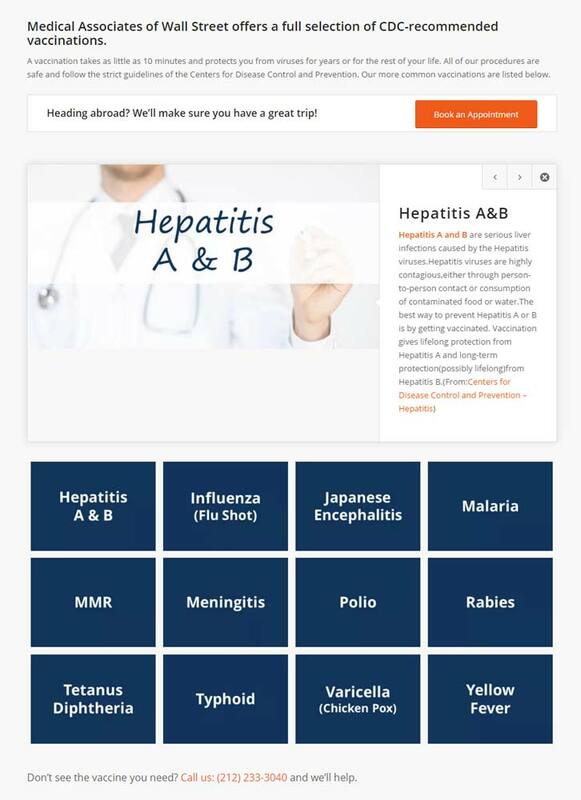 They delivered a site that we are thrilled with…and did it all in less than three weeks. How might your business improve with a new mobile-optimized website?